For a great night’s rest, you can’t beat the Nectar Memory Foam Mattress. This bed-in-a-bag is the best memory foam mattress on the market. Buyers love that it’s got that just-right blend of soft and firm comfort, an industry-leading sleep trial period, and a price point you won’t lose sleep over. Want to see your other choices? We’ve got 9 more memory foam mattresses that are giving the Nectar a run for its money. You spend a third of your life sleeping, so you need a mattress that supports your frame and soothes your aches. The right bed helps you get more rest, by falling asleep quicker, and better rest, by achieving a deeper sleep. Don’t think of choosing the best bed as a luxury. Your health is on the line. Crafting the perfect mattress is as much a science as it is an art. The best memory foam mattresses employ cutting-edge technology to improve comfort, coolness, and cushion. Comparing today’s innovative memory foam mattresses is about understanding the sleep science behind mattress design just as much as it is about considering prices and warranties. Fortunately, you don’t have to navigate the surprisingly high-tech world of sleep science on your own — RAVE Reviews has done the research for you. Read on to find out what makes these 10 memory foam mattresses so outstanding and which one should be your next bed. Ditch the squeaky coils and embrace the snuggly, supportive comfort of memory foam. Nectar’s 4-layer foam construction has won numerous comfort awards. 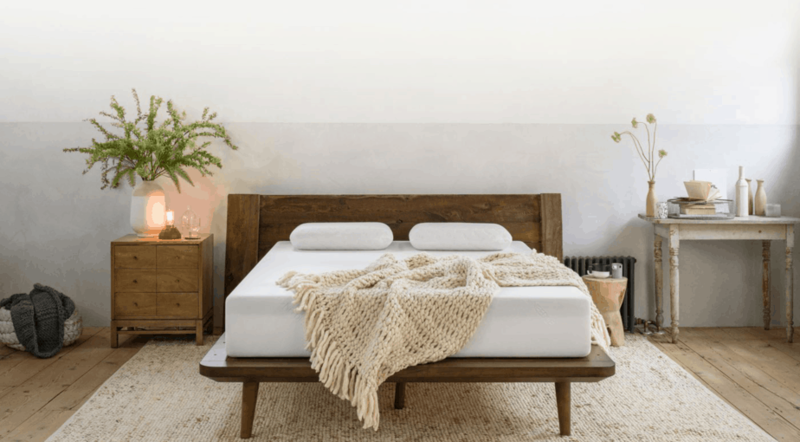 This mattress might seem like a splurge, but the company’s commitment to wholesale pricing puts the bed within most mattress-shopping budgets. Can you really get a quality queen-size memory foam mattress for less than $300? More than 19,000 buyers have glowing praise for this ultra affordable, pressure-relieving mattress infused with green tea to help you wake up feeling naturally refreshed. The Loom & Leaf Mattress’s breathable dual-layer foam core foundation, patented gel-on-gel construction, and extra cooling spinal panel filled with medical-grade cooling gel offer a uniquely cool sleeping experience. Since the first memory foam mattress was developed in 1991, this soft and supple material has become popular with sleepers everywhere. Yet today’s mattresses aren’t just old-school, basic memory foam. These multilayered constructions, built for ultimate comfort, are chock-full of technological innovations like copper particles and medical-grade cooling gels. The memory foam mattress market is a frontier of its own, and each of the hundreds of different memory foam mattress models is unique. Traditional innerspring mattresses contain hundreds of coils to support the weight of your body. These springs are what makes a bed bouncy. But over time, the coils lose some of their springiness. Sleeping on as many as 1,000 or more hard steel coils doesn’t sound very appealing, which is why innerspring beds include upholstery layers of foam, felt, or fibers for cushion and comfort. Some innerspring mattresses feature pocketed coils individually wrapped in fabric to better distribute weight, reduce pressure on the body, and minimize motion transfer between sleeping partners. Memory foam mattresses don’t just push back to counter the weight of your body. Instead, they mold and contour to fit your frame perfectly. Support in a memory foam mattress comes not from springs, but rather from a foam core dense enough to hold you up. This core is topped with a layer of moldable memory foam. When you lie on a memory foam bed, the foam responds to your body heat by becoming softer and molding to cushion you. It then springs back into place once you get up. The primary material used in memory foam is a substance called polyurethane, a polymer made up of organic units bound together with links of a compound called carbamate. That all sounds very complicated. Here’s what it means to your mattress-shopping endeavors. This squishy, spongy foam is designed to be viscoelastic – meaning that it has a texture that is both viscous, or able to gradually change its shape, and elastic, or able to return to its original shape after being stretched. The bubbles or cells that make up the foam are open enough to allow for airflow through the mattress. The makers of memory foam mattresses often develop their own proprietary blends of memory foam. They may use different chemicals to achieve their desired viscoelasticity. Some of the best memory foam mattresses incorporate other elements such as cooling gel, particles of copper or graphite, or infusions of plant-based material like green tea. Memory foam adjusts to the individual, so it supports your body in exactly the right places. By conforming to your frame, memory foam can relieve the pressure that causes aches and pains. This pressure-relieving quality is thought to be especially helpful for the older and wiser among us, and for people with back pain, fibromyalgia, and other medical conditions. With memory foam, you typically notice less motion transfer from your partner’s side of the bed. Memory foam gets hot. It has a greater tendency than innerspring mattresses to trap heat, which can be very uncomfortable for people who already tend to sleep hot. However, many of the best memory foam mattresses include some kind of cooling element in their design to keep sleepers comfortable. The foam can feel like quicksand. While memory foam lovers delight in snuggling into the soft cushion of viscoelastic foam, other sleepers may miss the support of coils and dislike the feeling of sinking that comes with foam. Sometimes all you need to avoid feeling like you are caught in quicksand is to choose a firmer memory foam mattress. Memory foam mattresses typically have at least 2 layers: a layer of dense support foam and a layer of soft, contouring memory foam. Many memory foam beds have 3, 4, or more layers. There’s no ideal number of layers in a foam mattress. Some manufacturers create numerous layers for different purposes, like cooling or pressure relief. 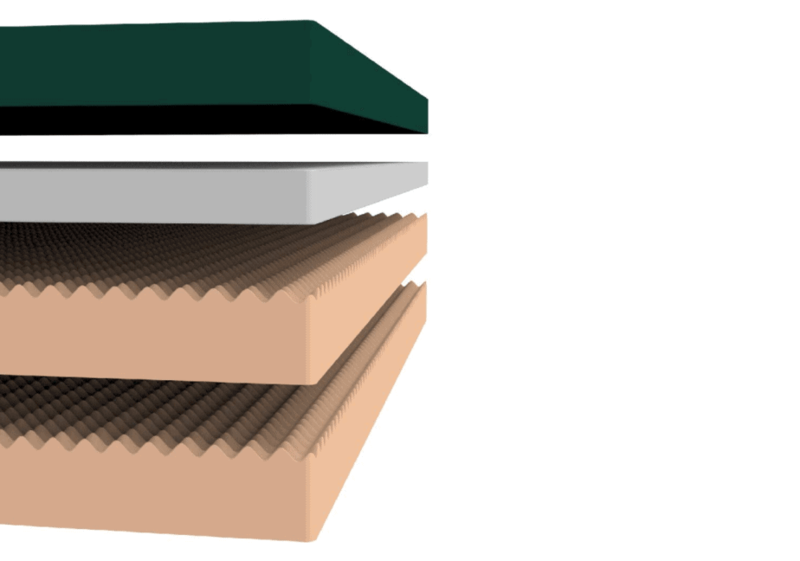 Others argue that they achieve exactly the features they want with only 2 layers and that adding more layers would only reduce the quality of the mattress. 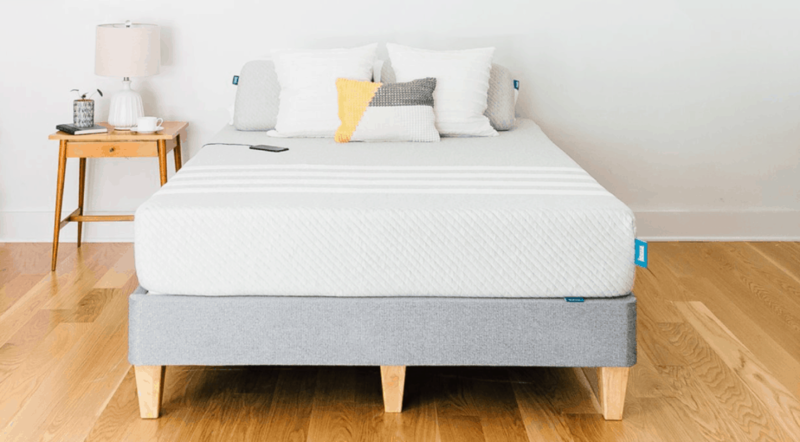 With so much to consider – layers, firmness, proprietary foam blends, and more – how do you even begin to narrow down the long list of memory foam mattresses on the market? You could spend hours trying to learn all about the sleep science behind memory foam mattresses, but you don’t have to. 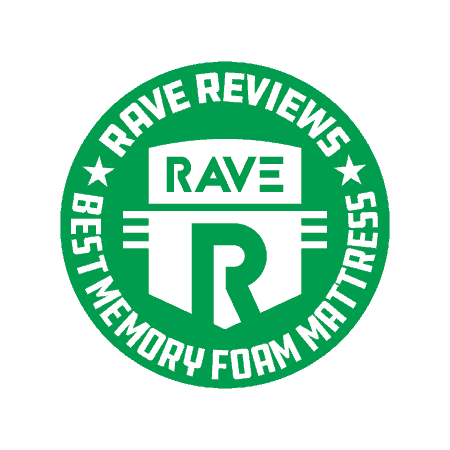 The team at RAVE Reviews has already delved deep into the principles of how memory foam works and the experiences of thousands of customers to compile our list of the very best memory foam mattresses out there. Ready to find your next mattress? Read on! The highly popular Nectar mattress is an over-performing 4-layer memory foam mattress at the sweet price point of $824. Nectar is versatile enough to use with any foundation (or no foundation — it can go right on the floor). A breathable custom-milled cover, made of a sustainably sourced microfiber called Tencel, wicks away heat. A 2.2-pound breathable foam base – the densest on the market – provides plenty of support. Next you’ll find a layer of Adaptive Hi Core memory foam to cushion your pressure points. A layer of patented semi-open Lush medical-grade gel foam plus a layer of quilted premium memory foam combine for cooling and recovery features. 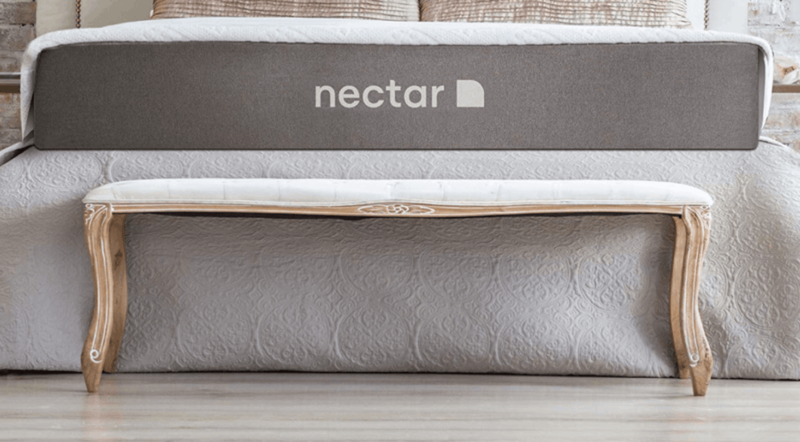 Buyers have a full year to decide if the Nectar mattress is right for them. That’s about 3 times the length of even the most generous sleep trial periods in the industry. 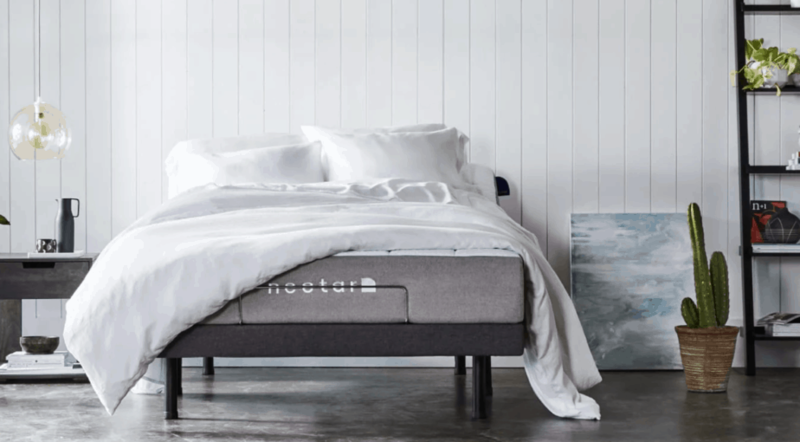 Nectar calls its bed “the last mattress you’ll ever need to buy” and stands behind its product with a Forever Warranty. Layla’s claim to fame is its unique copper-infused memory foam. Why copper? These particles are great heat conductors, allowing your mattress to draw heat away from your body for a cool, comfortable sleep. Copper is also thought to have natural antibacterial and antiviral properties to protect your health. Buying a mattress requires a big decision: soft or firm? Layla offers the best of both worlds, with a soft side and a firm side. This flippable feature is perfect for those who aren’t sure what firmness they prefer. The core of the Layla Mattress is a 4.5-inch layer of support foam. A 2-inch layer of convoluted foam aids in air circulation. Dual layers of the gel-infused copper memory foam mean there is plenty of cushion no matter which side of the mattress you sleep on. 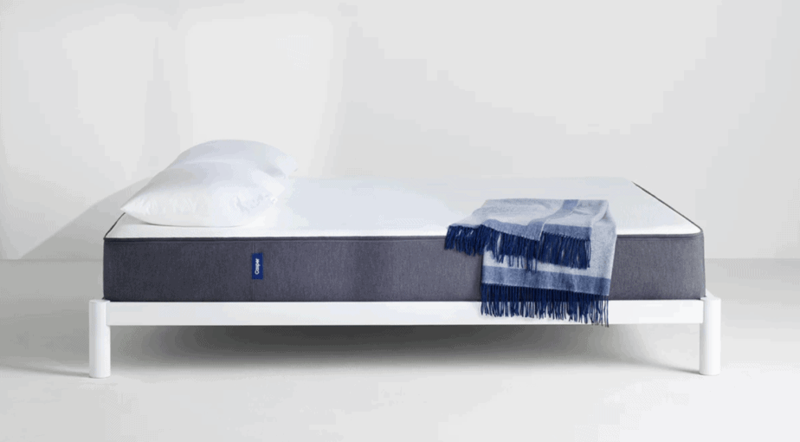 From a purist standpoint, Tuft & Needle’s Original Mattress isn’t memory foam. Its comfort layer is a dense proprietary blend of premium polyurethane, called T&N Adaptive Foam. Adaptive foam mimics the best attributes of memory foam and latex without drawbacks such as trapping heat or creating too much sink. Beneath the specially engineered adaptive foam is a layer of support foam. With just 2 layers, this mattress is simpler than some, without the bells and whistles you see on higher-priced models. However, it keeps the best features, like cooling gel to keep you sleeping comfortably. The price point — hundreds of dollars below most mattresses on our list — makes it a great value. If you have your heart set on a true memory foam mattress, Tuft & Needle’s Adaptive Foam might not be soft enough for your liking. Some sleepers reported indents forming within a few months of use, but to be fair, the manufacturer does offer a 100-night sleep trial. 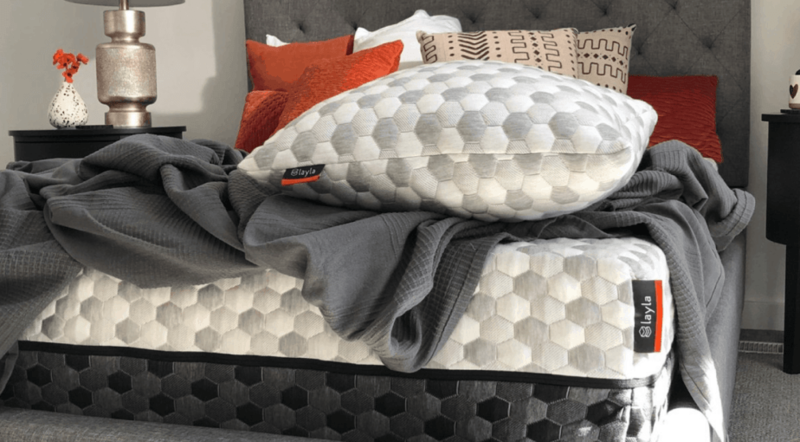 An excellent choice if you sleep warm, Saatva’s Loom & Leaf Mattress has a cooling system that includes a breathable foam core, gel-on-gel foam layer, and a patented Spinal Zone Gel panel. The mattress comes in firm and relaxed firm, although some sleepers find both levels too hard. Each Loom & Leaf Mattress is made fresh to order with progressive layer technology, starting with a high-density foam support base. It’s the 5-pound viscoelastic memory foam layer that gives the bed its luxurious, classic memory foam feel. Even the covering is made from premium materials: breathable, quilted organic cotton with hypoallergenic fibers. 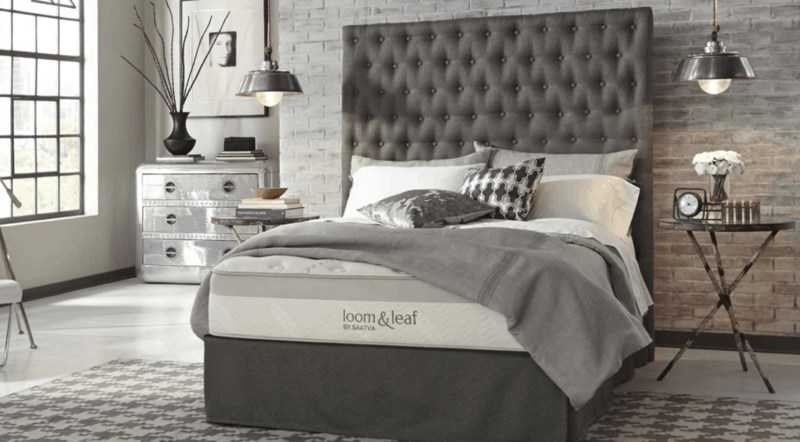 Loom & Leaf costs 50% more than Nectar, but it’s still a bargain for a true competitor to top-end memory foam beds like TEMPUR-Pedic. Instead of a bed in a box, Loom & Leaf is a luxury mattress that comes with free white-glove delivery. The green tea-infused memory foam mattress from Zinus is an amazing value backed by more than 19,400 glowing customer reviews. The cost for a 12-inch queen mattress is just $344 on the manufacturer’s website. This plush, marshmallow-soft bed includes 3 inches of memory foam, 2 inches of pressure-relieving Comfort Foam, 3.5 inches of high-density foam, and another 3.5 inches of high-density base support foam. The infusions of green tea and ActivCharcoal create a fresh, clean scent. Unfortunately, some sleepers report another scent: an unpleasant offgassing odor. Zinus has little to offer in terms of cooling technology, and some sleepers feel that it gets too hot for comfort. Additionally, this memory foam may not be supportive enough for all sleepers. Some customers reported that their Zinus mattress didn’t last long — although at this price point, it’s probably fair to expect less durability than other brands. The Bear Mattress has a lot of great features, including proprietary graphite-gel cooling memory foam and Quick Response foam that prevents you from feeling “stuck” in the mattress. This hybrid foam integrates the bounciness of latex to ease pressure and support spinal alignment. Perhaps the most unique aspect of the Bear Mattress is its breathable Celliant cover. Celliant has been FDA approved and clinically proven to transform body heat to infrared energy for better recovery from aches and pains. In fact, the combination of Celliant technology and pressure-relieving Quick Response foam makes this mattress especially appealing to athletes. Don’t confuse the Quick Response foam for an equivalent to innerspring coils. Despite its relative bounciness, Bear still fits squarely in the memory foam category, and the mattress’s so-so edge support shows it. Only available in a medium firm comfort level, this mattress may not please sleepers who prefer distinctly firm or soft beds. Since the company’s founding in 2014, there’s been plenty of hype about the original Casper Mattress. 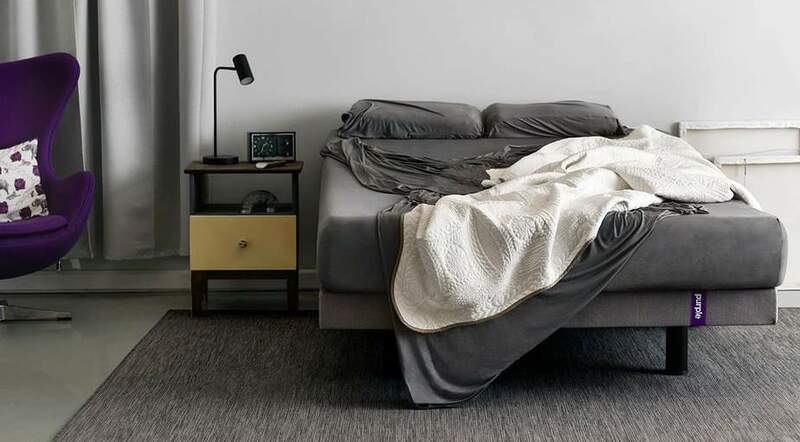 Major publications like Fortune, Forbes, and Business Insider have featured the 4-layer memory foam mattress, on which more than a million customers now sleep. The Casper Mattress offers a host of benefits, including breathable open-cell foams with tiny pores to reduce overheating. The most unique feature is the Zoned Support spinal alignment technology. A combination of softer foam for the shoulders and firmer foam at the hip level makes a Casper bed sinkable and supportive in just the right places. The original Casper is undoubtedly one of the best memory foam mattresses out there, especially at the mid-range price point of $995 for a queen. However, it lags behind our other winners when it comes to cutting-edge cooling elements. Price-wise, Nectar, Tuft & Needle, and Zinus all beat out Casper by $125 to more than $700. 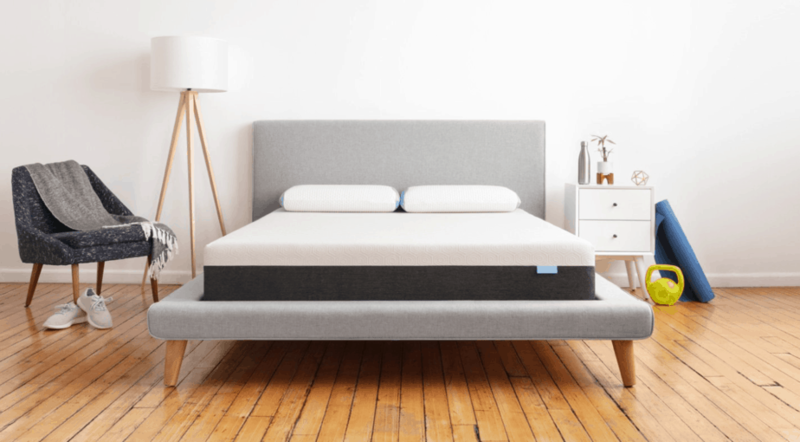 Leesa is a 3-layer memory foam bed that starts with a 6-inch layer of dense core foam. Next comes a 2-inch recovery layer of memory foam. The top layer of LSA200 Foam Technology has a special microcell structure that relieves pressure, adds bounce, and improves airflow. Despite the extra airflow, some sleepers still report that the Leesa sleeps hot. Additionally, some buyers loved the mattress right away but found that it sagged and softened too much shortly after the 100-night sleep trial period ended. While some sleepers like the bounce afforded by the LSA200 foam, it makes motion transfer more of a problem for the Leesa than other models. That said, Leesa’s Universal Adaptive Feel conforms to all sleeping styles. The LSA200 foam is particularly good at reducing shoulder pressure and pain in side sleepers. And you can feel good about buying from a socially conscious company: Leesa donates a mattress to charity for every 10 mattresses sold. The Original Purple Bed breaks the memory foam mold. Neither innerspring nor true memory foam, this mattress is made of a 2-inch grid of Hyper-Elastic Polymer, stacked on top of a comfort layer and a foundation layer of foam. The Smart Comfort Grid contours to your body to ease pressure points and isolate motion transfer. However, Purple doesn’t react to heat the same way memory foam does. The grid construction results in a temperature-neutral design that naturally allows for airflow without relying on special cooling gels that could leave you feeling too cold for comfort. While even the best memory foam will naturally break down over time, Purple’s design is built to last. If you want that full-fledged memory foam feeling, Purple is not the right bed for you. However, it is a great compromise for sleeping partners whose preferences are at odds, or if you need the pressure relief of memory foam but want to avoid that quicksand feel. No list of the best memory foam mattresses is complete without mentioning Tempur-Pedic, the company that brought memory foam to the market when it launched the Tempur-Pedic Swedish Mattress in 1991. Since then, Tempur-Pedic has created an extensive line of memory foam bed collections. Price point is the main reason that the pioneer of memory foam mattresses isn’t ranked higher on our list. 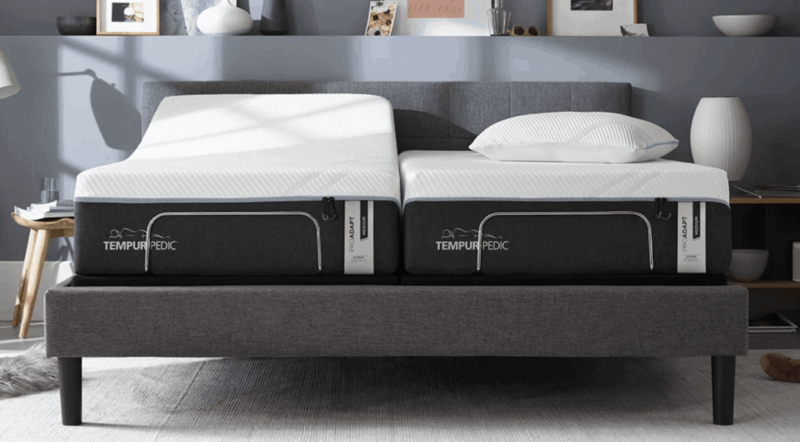 The most popular Temper-Pedic bed, the TEMPUR-ProAdapt, comes with a $2,999 price tag for a queen. Upgrade to the higher-end TEMPUR-Cloud Luxe Breeze, and you’ll wind up paying $4,799. Of course, few things in life are more worth splurging on than the mattress where you spend a third of your day sleeping. If you’re comfortable at the Tempur-Pedic price point, then features like the pressure-relieving TEMPUR-APR Support Layer, Original TEMPUR Comfort Layer boasting advanced adaptability, and SmartClimate Dual Cover System may make this luxury bed well worth the cost. What does memory foam feel like? Enthusiastic reviews often describe memory foam mattresses as “life-changing,” but what does it actually feel like to lie down on a memory foam bed? Instead of springs exerting pressure to push you back up, the foam reacts to your body heat by molding to fit your position. You sink into the mattress rather than resting on top of it. Memory foam is more squishy than bouncy. Sleepers who love memory foam describe it as a soft, marshmallow-like hug. If you don’t like memory foam, you may equate it with getting “stuck” in quicksand. Whether you love memory foam or hate it, it is harder to move on than an innerspring mattress, because it moves along with you. The contouring foam of a memory foam mattress helps take the pressure off of your body. This cushion can relieve aches and pains resulting from injuries, exercising, or a long day. However, not everyone finds relief from a memory foam bed. Sleepers can end up with new aches and pains if memory foam does not provide the support they need. A common complaint of sleepers who share a bed with a partner is that their partner’s motions wake them from slumber. This issue, called “motion transfer,” is prevalent when sharing a spring mattress, which can be squeaky as well as bouncy. One benefit of memory foam mattresses is that they tend to reduce motion transfer for better, uninterrupted sleep. Some buyers are wary of purchasing a mattress they haven’t tested, but spending mere minutes testing out a bed in a brick-and-mortar mattress store doesn’t do justice to the memory foam experience. All of the best memory foam mattresses include a trial period of a few months to a year during which you can get a refund. How much does memory foam cost? In general, memory foam beds tend to have a higher price tag than traditional innerspring mattresses. However, that doesn’t mean that you can’t afford a great night’s sleep. Thanks in large part to the growing online industry of bed-in-a-box retailers, there are quality memory foam mattresses on the market at every price point. The cheapest you can realistically expect to get a memory foam mattress for is around $150 to $200. If you are looking at these extremely low-priced memory foam mattresses, remember that sometimes, you really do get what you pay for – so you should carefully read reviews of these ultra-cheap mattresses before you buy. This doesn’t mean you have to splurge big-time if you want a memory foam bed. 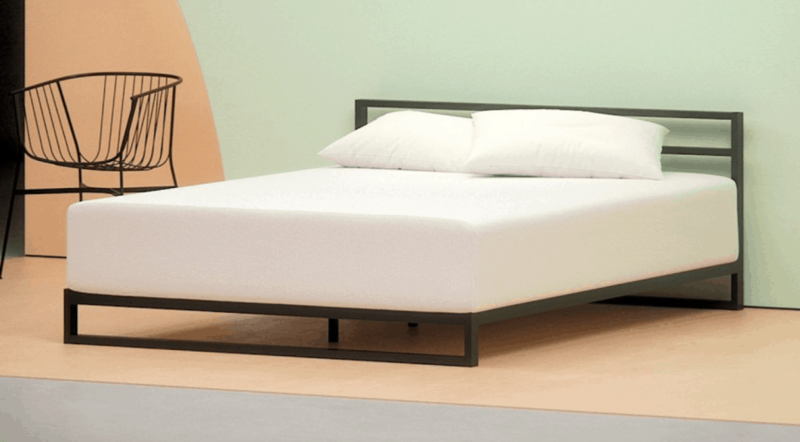 Some of the best memory foam beds on the market have a modest price point, along with the essential features you need for a great night’s sleep and positive customer reviews to prove it. The Zinus Memory Foam 12-Inch Green Tea Mattress is an unbeatable value at $344 direct from the manufacturer and discounted to under $300 on Amazon. If you can spend a little more, you could afford the $595 price tag of a queen-size Tuft & Needle mattress. Even our number-one rated mattress, Nectar, is only $840, and the company offers financing options. There are ways to cut the cost of a memory foam mattress without significantly sacrificing quality. Look for sales and coupons. Consider opting for a less thick version of a well-ranked mattress. Keep in mind, though, that the bed you sleep on each night isn’t the place where you want to cut corners just to save a few bucks. What does the density of memory foam mean? Density is among the most talked-about specifications of memory foam mattresses. In fact, it’s one of the main points we considered as we ranked the 10 best memory foam beds. However, until you know what density means with regards to memory foam and how it affects your sleeping experience, you may not understand why density is such a big deal. In scientific terms, density is the measure of mass per unit volume, or how compact a substance is. When 2 items of different size weigh the same, the smaller item is considered denser. In memory foams, density refers to the number of pounds per cubic feet. The density of memory foam ranges from 1.5 to 8 pounds/cubic feet. Density is far from the only factor that affects how comfortable a memory foam mattress will be. A low-density mattress may still feel luxurious, while a high-density mattress can still feel uncomfortable. Considerations such as the depth and composition of the mattress and your own body weight and sleeping style affect how comfortable a mattress may feel to you. However, density does play an important role in the level of support a mattress will provide as well as its durability. The higher the density of the foam, the more supportive the bed will be, and the longer you will be able to enjoy it before the foam begins to break down. Replacing your mattress isn’t something you do on a timeline, but rather, when the condition of the mattress is affecting your quality of life. It might be time for a new bed if you wake up from sleeping on your once comfortable mattress with aches and pains or if you are starting to see indents and depressions in the mattress. Generally, memory foam mattresses last slightly longer than traditional innerspring mattresses, but not as long as latex mattresses. Their lifespan is similar to pillow top coil mattresses. On average, memory foam mattresses last for 7 years of regular use, but individual mattresses may have considerably shorter or longer lifespans. Low-density memory foam mattresses have the shortest lifespans, about 4 to 6 years, because the weaker foam breaks down more quickly. A high-density memory foam bed may last 8 to 10 years. Some of the best mattresses, particularly those sold at higher price points, may last 15 years or longer. Other factors affect how long your mattress lasts. Generally, sleepers who are heavier must replace their beds more often than average-sized or lightweight sleepers. Guest beds that are used infrequently typically last longer than a mattress you sleep on nightly, since they see less regular wear. Rotating your mattress regularly can help it last longer. Buying a mattress means spending hundreds or thousands of dollars on the purchase and spending years sleeping on that mattress. When RAVE names a bed one of the best memory foam mattresses on the market, it’s because we have done extensive research on that bed and gathered data from the most trusted review sites on the internet. While the Nectar Mattress landed the top spot on our list by excelling in each categories, every bed in our ranking is exceptional. The Zinus Green Tea Mattress puts a super comfortable memory foam bed within budget for any sleeper. 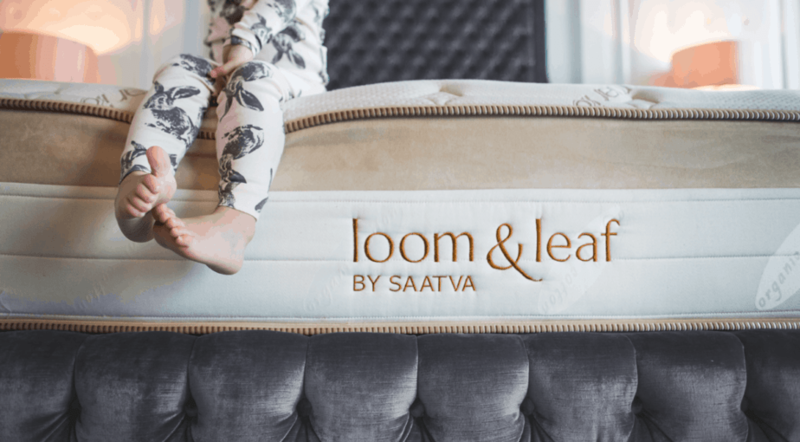 Saatva’s Loom & Leaf Mattress goes to great lengths to keep things cool, making it the perfect choice for warm sleepers. Whether it’s the ideal-for-athletes Bear Mattress or the uniquely constructed Original Purple Bed that has caught your attention, you can’t go wrong with the mattresses on our list. Both longstanding memory foam mattress manufacturers like Tempur-Pedic and relative newcomers like Casper have crafted ultra comfortable foam beds that are close contenders for the title of best memory foam mattress. Your new bed is only the first step to a life-changing new level of sleep quality. Combine your memory foam mattress with these essential sleep accessories, and you will be on your way to your best sleep ever. Beckham Hotel Collection Gel Pillow (2-Pack): These luxury super-plush filled with gel fiber are hypoallergenic, mold and mildew resistant, and specially designed to stay put – all at the affordable price of $36 for a 2-pack. Hotel Sheets Direct 100% Bamboo Bed Sheet Set: What good is a great mattress if you cover it with sheets that are rough, heavy, and trap heat? Spring for these wildly popular, deep-pocketed 100 percent bamboo sheets for a light, cool fabric that’s softer than cashmere, pill-resistant, and easy to clean. Cheer Collection Ultra Plush Eco-Friendly Hypoallergenic Bamboo Fitted Mattress Topper: You want a memory foam mattress to be firm enough to support you, but sometimes even a great bed can feel a little too firm. This plush bamboo mattress topper adds a bit more cushion without detracting from that luxurious memory foam feel. Asutra Silk Eye Pillow: This multifunctional 100% silk hypoallergenic eye pillow allows you to change the weight and customize your aromatherapy experience by filling it with your perfect amount of organic flax seeds and lavender. Use it with heat therapy or cold gel therapy to soothe tired, sore eyes or ease headaches. Aurola White Noise Machine for Sleeping: This space-saving, travel-friendly white noise machine has a high-end speaker for perfect sound clarity and 7 different modes to choose from, including classic white noise, thunderstorm, and ocean wave. Krystle Dodge is a freelance writer and lifelong geek whose passions include food, beach trips, tabletop games, all things Disney and Harry Potter, and spending time with her family. She graduated from Rowan University and lives in South Jersey with her husband and son.